I had an episode of sharp chest pain located in the center of my chest last night after a stressful day at work. It occurred in waves for several minutes. My blood pressure was 145/90, although I take lisinopril and Lopressor. I took two 325 mg aspirin and 5.0 Xanax. Chest pain let up after the medicines started to work. 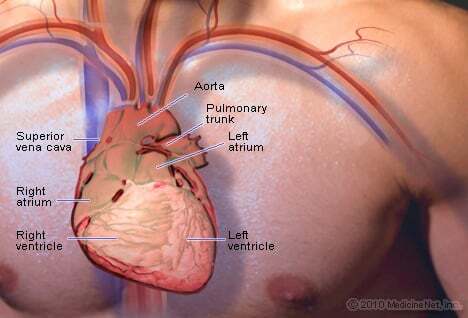 I have microvascular cardiac syndrome X since age 48. I inherited the gene for heart disease from both parents. This year I had an 80% blockage in the LAD (left anterior descending) artery. Two drug eluting stents were deployed one on top of other. I still have a 50% blockage in RAC (renal artery constriction). I suffered from severe exercise induced angina, which is now improved. I also have LBBB. I weigh 170 lb., do not smoke, do not have diabetes, and exercise regularly. I do enjoy a glass of wine a few times a week. I retired from RN (registered nurse) cardiac nursing position after stent placement and take care of my totally disabled bedbound husband, which does give me much stress. Are you surprised by the statistics about heart disease in women? Are you surprised to know the facts about heart disease in women? What are you doing to prevent heart disease as a woman?